New York is three years into its economic development Hunger Games. The analogy between a fictional dystopian death match and Governor Andrew Cuomo's signature economic development initiative isn't entirely precise. While the Cuomo initiative pits regions of the state against each other in an annual competition for limited resources, nobody dies. And the distribution of resources has been equitable across New York's 10 regions. Each has received approximately $220 million in state resources over the last three years, says Mark Peterson, CEO and president of Greater Rochester Enterprise and a member of the Finger Lakes Regional Economic Development Council. In the Finger Lakes region, 255 projects large and small have received awards totaling $224.8 million. The University of Rochester's health care research supercomputer, for example, has been awarded $10.5 million over three years. Other awards, totaling a few thousand dollars each, have funded small programs for arts organizations. Cuomo portrays the councils as a way for regions to coordinate economic development efforts. He says that local leaders and business people know their regional economies best and that state agencies should take their cues from them. In 2013, the I-Square mixed-use development in Irondequoit was awarded approximately $2.3 million in state funding through the Finger Lakes Regional Economic Development Council. But the program has flaws, too. Some of the projects prioritized by the councils don't get the funding or incentives they need. The state has been slow to pay out some of the awards. And though information about the awards and the progress on various projects is available — though a little digging is required — job creation data is not easily accessible. In a big-picture sense, the council approach is showing progress, say members of the Finger Lakes group. They say it's helped local government and economic development officials refine efforts to attract businesses and revitalize communities. The Finger Lakes council has gotten funding for research at UR and Rochester Institute of Technology, work force training programs, company expansions, housing projects, tourism initiatives, and downtown improvement projects, Peterson says. 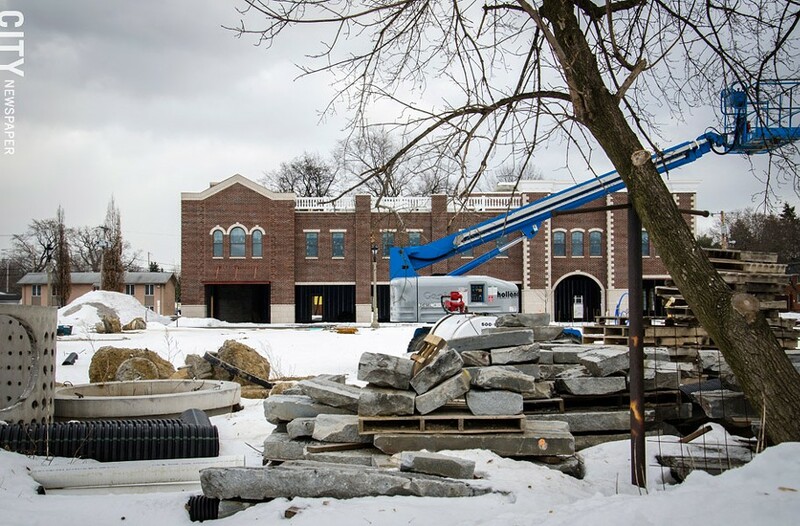 "I think we've focused in the right places," says David Young, president of the Rochester Building and Construction Trades Council and the labor representative on the Finger Lakes council. In the 2013 awards, the state didn't fund one of the Finger Lakes council's highest priority projects, a fermentation cluster at Eastman Business Park. The park and some private companies sought $3 million to build a facility that can convert plant materials into sugars, which could then be used to make biodegradable plastics, biofuels, and environmentally preferable chemicals. Council members saw a project that would bolster the work being done by several companies in the evolving business park. Eastman Business Park has been the region's top priority for each of the past three years. Council members have decided to hold off on the fermentation cluster project for a year and continue discussions with the state, Peterson says. The state also declined to fund another regional priority: a proposed business accelerator at the old Genesee Hospital campus. The goal of the project is to help new businesses get off the ground. The project received $5 million in awards over the previous two years, and sought another $3 million. Peterson says missing out on that funding means the project will have to be reconfigured. "I think the project is still very solid and will go forward," Peterson says. Most of the awards are paid out through reimbursements, and that's posed another problem. The state has been slow to make some of the payments, Peterson says, and some projects are waiting on money. "No one knows how long it will take and that's problematic for planning, it's problematic for executing a strategy," he says. Peterson uses the Finger Lakes Health Systems' high blood pressure initiative as an example. The program was awarded a $300,000 grant from Empire State Development in 2011, he says, and the work is generally over. But the agency has yet to be reimbursed. Criticism has also been aimed at some of the projects themselves. The proposed Science Technology and Advanced Manufacturing Park in Genesee County has been criticized by anti-sprawl advocates. And the mixed-used College Town project in Rochester, which was advanced by UR officials, received a $4 million Empire State Development grant. UR President Joel Seligman is co-chair of the Finger Lakes council. The council's priority-setting role has perhaps been the biggest benefit to the region, Peterson says. It's provided a formal structure for local government and business leaders to figure out where to concentrate economic development efforts, he says. 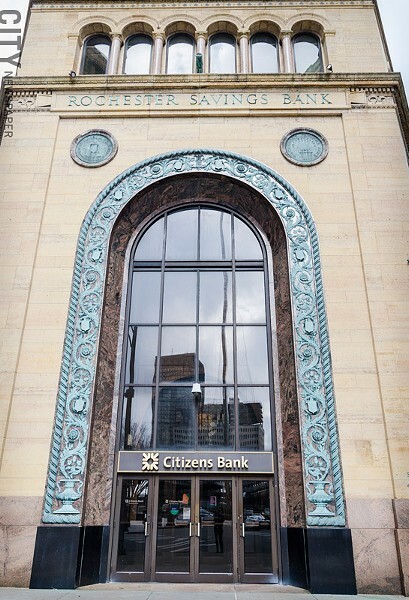 Rochester Institute of Technology plans to renovate the Rochester Savings Bank building for its Center for Urban Entrepreneurship. In 2013, the project received a $1 million award through the Finger Lakes Regional Economic Development Council. Each year, the council reviews the resources that the state plans to offer, and that helps determine which projects the council will propose for funding. In 2011, the council successfully advanced a couple of dozen housing projects. And this year, it received funding for two specialized initiatives: the council's Opportunity Agenda proposal; and an entrepreneurial services partnership between UR, RIT, and High Tech Rochester — a business incubator. The Opportunity Agenda centers on struggling neighborhoods in the City of Rochester's troubled crescent, particularly the El Camino neighborhood. The plan is a targeted effort to improve the neighborhoods' economic performance, and lays out potential investment opportunities in housing, community groups, health care, and job training programs. The council's emphasis on Eastman Business Park, which has been transitioning from the former Kodak Park to a multi-tenant manufacturing and commercialization center, is also paying off. Young, the labor representative, says the park is the region's greatest asset, but could be its biggest liability if neglected. Over the past three years, significant projects in the park have received awards. One of the key projects funded was a battery and energy storage consortium's technology commercialization center, which received $3.5 million in the first year of the council program. Outside of the council process, state officials worked alongside local and federal officials to usher the park through Kodak's bankruptcy. The state's assistance resolving issues of liability for historic pollution at the site was crucial, Peterson says, and will help make the park more attractive for new tenants. The council has also brought in funding for community-centered projects, including revitalization efforts in downtown Rochester and infrastructure studies and improvements. This year, the I-Square mixed-use development in Irondequoit received two awards, totaling about $2.3 million, centered on environmental aspects of the project. And RIT received $1 million to renovate the former Rochester Savings Bank into the school's Center for Urban Entrepreneurship. A planned expansion at the Rochester Public Market received a $500,000 grant from Empire State Development. It's not high tech and nobody gets to announce that hundreds of jobs are coming to the area as a result. But it's inexpensive, Peterson says, and helps accomplish several key goals. The popular market provides an urban community with access to inexpensive, fresh food and also gives farmers an opportunity to sell their goods. Expanding and improving the market will provide increased opportunity for both groups, Peterson says. "Those are the kinds of projects, when you can do that, that are really win-wins for everybody," Peterson says.